Baby showers are done not to ask for gifts. It’s a way to celebrate the arrival of a baby and also to send off a woman who will be facing motherhood. What Hosting a Baby Shower Calls for? Organizing a baby shower should be taken seriously. If you do not intend to devote time and effort to it, then you are probably not the ideal person to handle or host such gathering. It is of great significance that everything is planned prior to the day of the baby shower. Always consider how the mom-to-be would feel if the event did not turn out well. Pregnant women are emotional, especially with their approaching date of delivery. Do not aggravate her already overwhelmed mind by giving her a displeasing baby shower experience. One way you can make a baby shower a memorable festivity is coming up with great baby shower games ideas. If you can keep the guests entertained, the mom-to-be will be just as amused. Where You Can Obtain Baby Shower Ideas? In this day and age, the internet can provide you with just about anything you need. 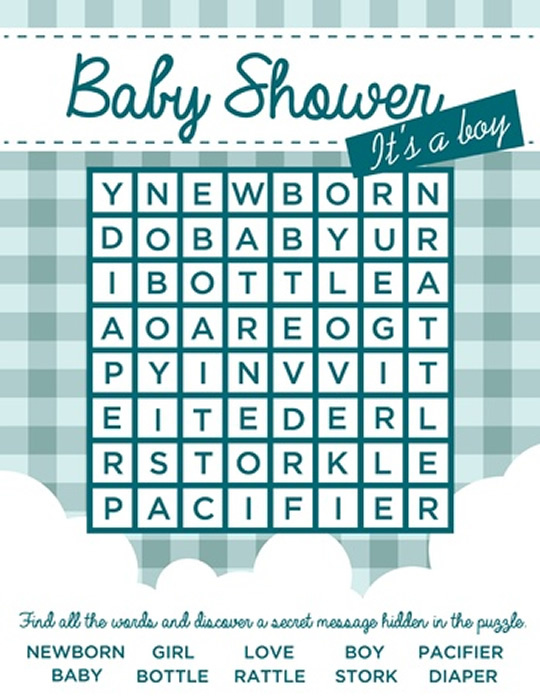 It can lead you to a number of sources where you can find wonderful baby shower games ideas. There is no excuse that can justify running out of interesting baby shower games concept. A few clicks on your computer can already take you to countless game samples. 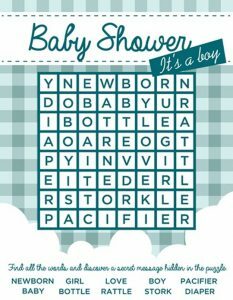 There are even printable baby shower games which can make materializing the ideas a lot more convenient. Suggestions from friends can also work. At one point in their life, they have probably attended a baby shower and seen the kinds of games being played there. Ask them which ones they enjoyed the most. Ask for the mechanics or do the research. If you have the means, you may also seek the service of a professional event organizer. This way, you can save yourself from the hassle and you are assured that everything will run smoothly since it will be handled by an expert. Mechanics: Provide tiny cups to the game participants along with blobs of different colors of Play Doh. Give them15 minutes to mold a baby. Equip them with plastic knife so they can come up with more creative baby Play-Dohs. The mom-to-be will select the winner. This game will surely make the guests engaged. Playing it will also bring back the memories of their childhood. Buy a box of diapers. Ask the guests to write in their words of encouragement for the mom-to-be on the back of the diapers. The note has to be encouraging but hilarious! Let the mom or the other guests decide which among the notes is the most remarkable. The one to be chosen gets the prize. Make sure you provide the guests with a permanent marker so that the diaper can still be used without causing harm to the baby. Once the baby has arrived, the parents have to change his diaper in the wee hours. Seeing these funny but encouraging words written on the diapers will at least make the parents reminded that staying up late at night is a sweet sacrifice people do for kids. 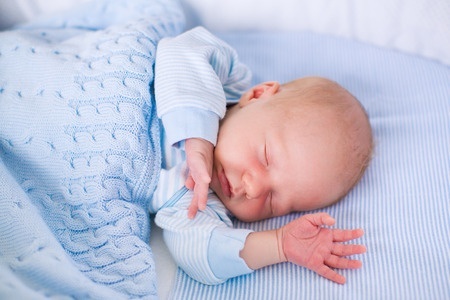 Prepare some of baby’s everyday essentials like diapers, rattles, powder, etc. Let the guests come up and make a wild guess of the price of each item. The winner will be the one who gets the closest answer. This game will challenge the guests, especially those who don’t have a child yet. They have no idea how much baby stuff cost and this will get them to compete! Have the guests sing any song where the word ‘baby’ is mentioned. The person who fails to deliver will be ‘out’ and the last person standing takes the prize. Everybody loves to sing and this makes the game one that everybody can relate to. The guests will be entertained by the songs each of them has to sing. They will also be occupied thinking of other songs with the word ‘baby’ on it.